There are several measures of a country’s political stability. These include the years of normal governance, where free and fair elections have yielded peaceful transfers of power and no coups d’état have occurred. The integrity of elections is another indicator of political stability, as are constitutional limits to presidential terms. Strong governance institutions must provide checks and balances, with executive and legislature branches on equal footing and courts empowered to oversee the other two branches and rule on the constitutionality of new laws. Armies must be under civilian control. The media must be free, and freedom of expression be unconstrained. Platforms must exist for the public to report corruption and human rights abuses, and these bodies must have the power to investigate and rectify these evils. 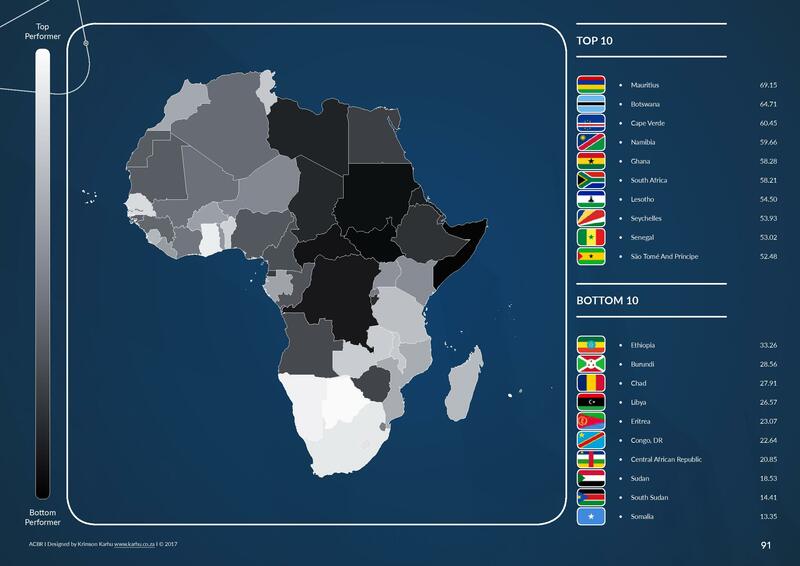 Just as the Africa Country Benchmark Report for 2017 amalgamated business, economic, political and social indexes to create an inclusive and holistic view of each African country’s performance, a review of this data also gives insights into which countries have successfully established politically stable governments. These countries are templates for which other African peoples may follow. What do these five nations have in common? 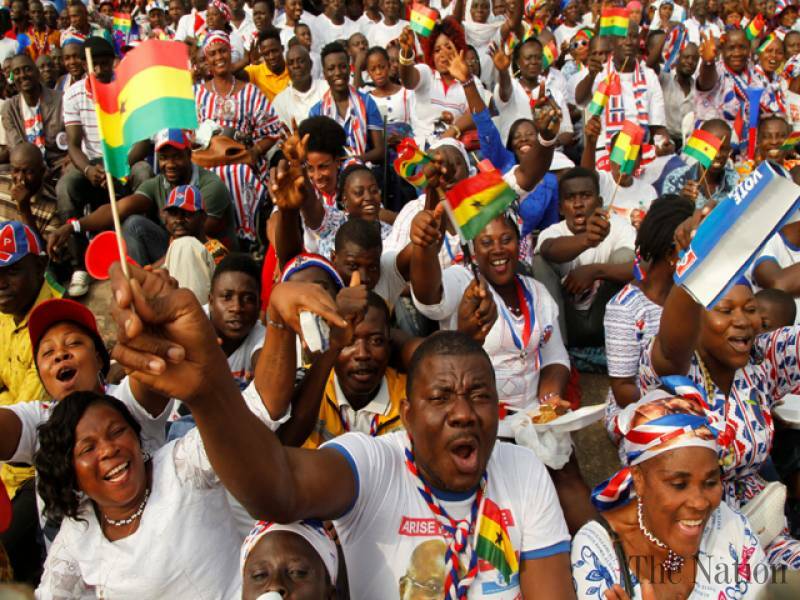 Belying the suggestion that political stability is easier to achieve in countries with small populations is the presence of Ghana on the list. 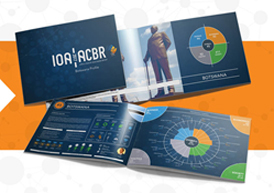 (Populous South Africa ranked number six on ACBR’s country ranking for political stability.) The underlying factor that has created a foundation of stability on which these nations have been built is a serious will by the citizenry and their elected representatives to sustain democratic institutions and processes. Mauritius lurched from one political crisis to another until its road to Damascus moment in the 1990s when the island’s leaders and people chose to pursue a democratic path as a means to achieve economic advancement. The dedication has paid off handsomely, and Mauritius is poised to acquire Africa’s first developed economy within a few years. Another island nation, Cape Verde, has shown equal commitment to political stability, and has been rewarded as the African location most Googled on the internet for holiday enquiries, as the country’s peaceful reputation spreads globally. 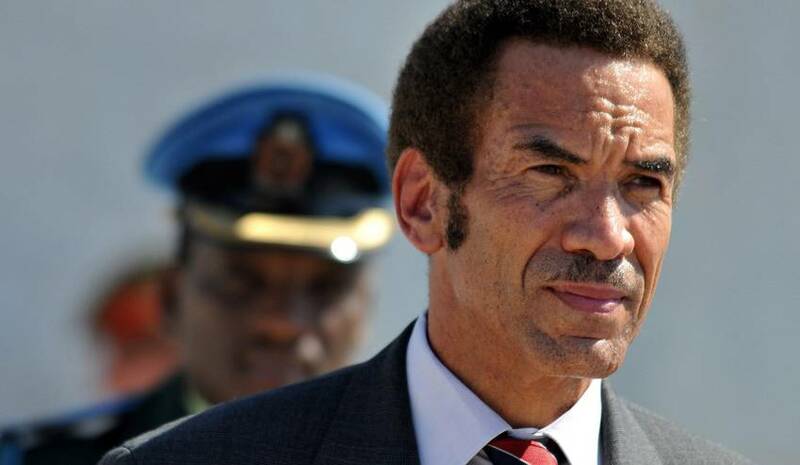 As mentioned, the people of Botswana have never varied from their commitment to a strong democracy, which has led to over 50 years of a political stability that is the envy of many other African countries. A quarter century after Botswana was established, Namibia was born in 1990 with a constitution pledged to the empowerment of democratic institutions beyond the ambitions of any leader. Namibians have stayed the course of that pledge. Despite being Sub-Saharan Africa’s oldest independent nation, political stability for Ghana is relatively new. The country was destabalised for 25 years by authoritarian regimes that replaced each other through coups d’état. The final coup was staged by Lt. Jerry Rawlings in 1981, who assumed complete power by banning political parties. In 1992, Rawlings, bolstered by popularity gained through economy-building efforts, allowed multi-party politics and stood for election. He won, and was re-elected in 1996, but was barred by the constitution from having additional terms. Unlike other African leaders who change their constitutions to stay longer in power, Rawlings stepped aside. Ghana’s 2016 presidential election resulted in the unseating of incumbent president John Mahama by an opposition party leader Nana Akufo-Addo. The resulting peaceful transfer of power was still sufficiently rare in African politics as to be lauded throughout the continent and internationally. The following map illustrates the Top 10 and Bottom 10 politically stable performers in the 2017 Africa Country Benchmark Report (ACBR).